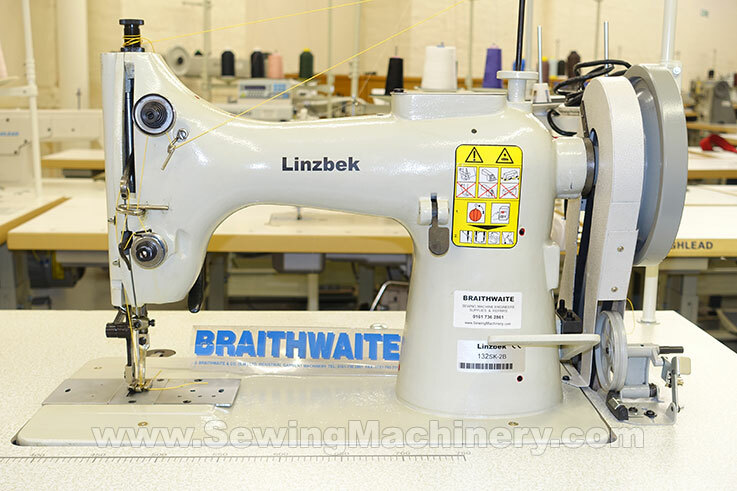 Linzbek 132SK-2B extra heavy duty industrial sewing machine with extra large capacity hook for use with heavy weight materials & thick sewing threads. Features a fully driven top walking foot, +heavy bottom feed, for positive stitching on heavy and extra heavy weight applications. 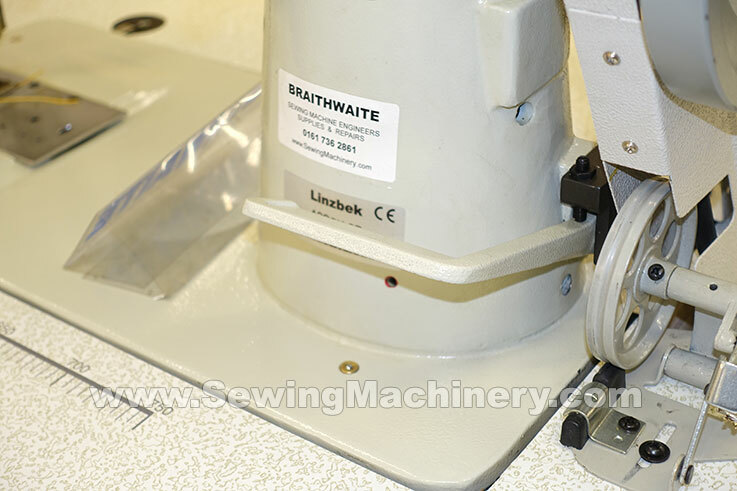 Including a reverse lever for back-tacking and reverse stitching. Example applications include: harnesses, sails, luggage, nets, tents, tarpaulins, awnings, carpets, slings, belts etc. Plus general purpose work on heavy leather and other heavy materials. High under arm clearance of 190mm. Assembled with matching unit stand and high torque heavy duty industrial clutch motor. Ideal replacement/upgrade for the old Singer 132K series, many parts interchangeable, with a similar/higher specification plus the addition of a proper driven walking foot and much needed reverse stitching lever (old Singer 132K6 & 132B6 models did not include reverse stitch lever or driven walking foot). Heavy / Extra heavy weight stitching. Long stitch length up-to 13mm. Foot operated presser foot lifter. Motor: 4P 600W heavy duty rated model. 230V standard 3 pin UK plug.